A loan of $5,375 helped a member to buy wool, lining, buttons & zippers. 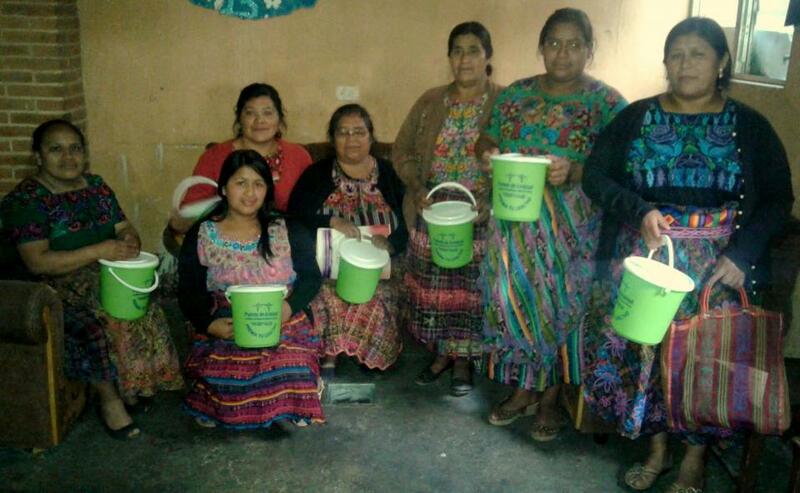 The Friendship Bridge Trust Bank “Mujeres Valientes Tecpan” was formed by 7 determined Maya Kaqchikel ladies who are thrilled to begin their 1st loan cycle with KIVA. The women have various businesses like making men’s sweaters, traditional textile fabrication, as well as selling thread, jewelry, clothing & food. The “Microcredit Plus” program of Friendship Bridge (loans & education) is an effective way for them to empower themselves, educate their children & begin to eliminate poverty in their lives. They meet monthly & after transacting business on their loans, they participate in educational trainings where they learn about themselves (self esteem, sexual & reproductive health, women’s roles), their families (nutrition, hygiene, health) & their businesses (planning, budgeting, investing). A member of the group is 58-year-old Catarina who has 5 children ranging aged 17 to 39. She only has a 3rd grade education & is in charge of supporting those who live with her. She works hard in her sweater business. She is requesting a loan to buy wool, lining, buttons & zippers. Catarina wants to be certain to have her supplies ready so that she can fulfil orders. She also wants to be certain that she can fund the secondary education of her youngest son. Much appreciation goes to KIVA investors from Catarina & her friends in the Trust Bank. They are poised to step into a brighter future! Clients receive in-depth trainings on business, health, over-indebtedness, and self-esteem. This loan is administered by Friendship Bridge (FB), a nonprofit, nongovernmental organization that empowers thousands of impoverished Guatemalan women through its Microcredit Plus program. The program combines small loans averaging US$350 for four-to-twelve month loan terms with non-formal, participatory education. As FB clients, women start, expand, or diversify their businesses and learn practical lessons on topics including business, health, and self-esteem. FB’s clients borrow as a group, forming Trust Banks (groups of 7-25 women who serve as co-guarantors of the loan and act as a self-regulating support network). Friendship Bridge is an organization with a strong social mission that provides loans and educational services in some of the areas of Guatemala with the lowest level of development, according to the UNDP’s Human Development Index. The MFI focuses its work in overwhelmingly rural areas with some of the highest proportions of indigenous population in the country, and has a strong focus on education as a key component of its social mission. These programs are very expensive to fund, so savings from Kiva’s low-cost financing will go toward subsidizing the educational component of Friendship Bridge's work to ensure its permanence.